Over the weekend, former Trump strategist Steve Bannon warned of a Republican “civil war” over whether immigrants, who entered the U.S. illegally as children, should be allowed to stay here. One response to a civil war is to try to be on both sides of it. That’s apparently what Colorado gubernatorial candidate George Brauchler is doing, judging from recent media statements, in which he sided with Trump’s decision to end DACA and deport young immigrants. But he also reportedly said young undocumented DACA immigrants should remain in the U.S., possibly with legal status, with the permission of Congress. In one KNUS radio interview Sept. 7, Brauchler compared Obama’s DACA order delaying the deportation of young immigrants to Hickenlooper’s decision to stay the execution of murderer Nathan Dunlap. “And I think what we’re seeing here – not just with DACA – but you can see, whether it’s the reprieve of Nathan Dunlap or, you know, the different steps that different Democrat executives have taken, there’s a real interest now in circumventing our representative and constitutional processes in order to accomplish what someone believes is some altruistic goal,” Brauchler, a Republican, told KNUS host Dan Caplis Sept. 7. How should Congress do it? That’s when Brauchler jumps to the other side of the GOP’s civil war, saying he’s open to giving DACA recipients a “path to some legal status down the road” but not citizenship. It's the immigration equivalent of Dr. Schrodinger's Cat. Brauchler, Beauprez, what's the difference? 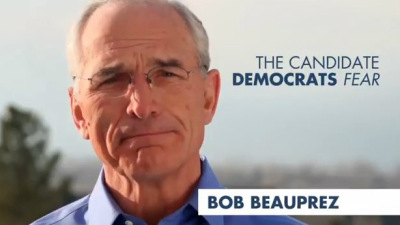 Is Beauprez running again next year? Will 3rd time be the charm?